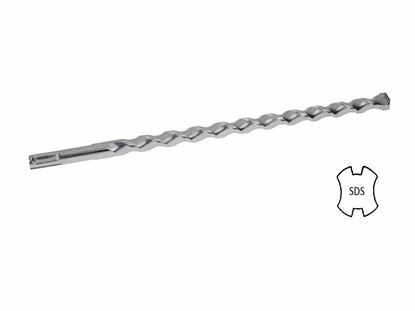 Bit Size 3/16" Minimum Embedment 3/4"
The 3/16" x 7/8" Hammer Drive Anchors are preassembled and packaged with 100 pieces per box. 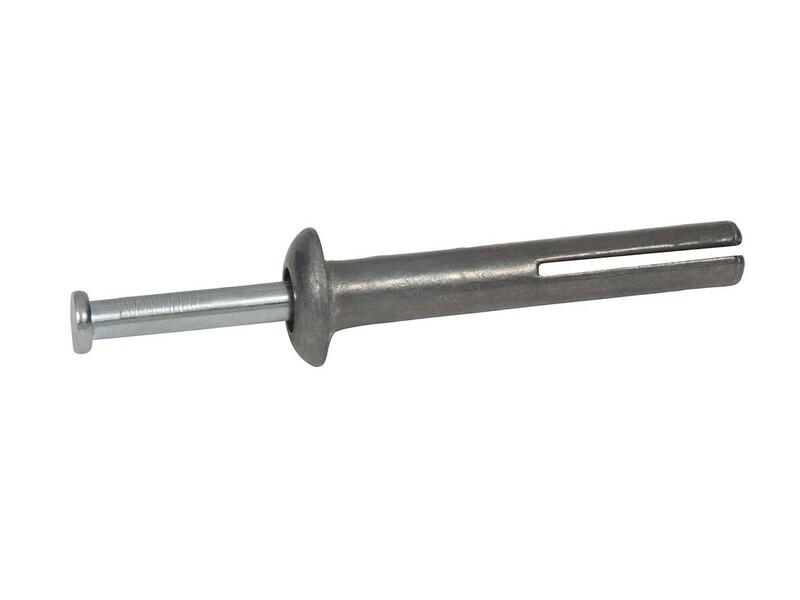 They are a general purpose, light duty fastener that works well in most masonry materials. Because they are in stock, buy them at a significant savings that includes free freight and same day shipping. The length of the anchor is 7/8"
The maximum fixture thickness or the maximum thickness of the material being fastened for a anchor is 1/8". This will ensure that the minimum embedment of 3/4" will be met. Each anchor must be spaced a minimum distance of 1-7/8" from each other when measured center to center. It is very important not to install the anchor any closer than 15/16" from an unsupported edge of the concrete. The hole can be drilled while the fixture is in place. 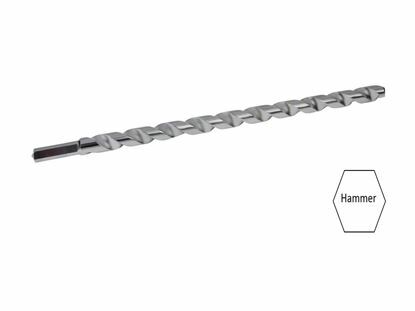 The minimum hole in the fixture for the 3/16" x 7/8" Hammer Drive Anchor is 1/4". Insert the 3/16" x 7/8" Hammer Drive Anchor, slit end first, through the material to be fastened and into the hole, ensuring that the bottom of the head is sitting flush with the fixture plate.